Chair Massage Near Me Lake Mary: What is Salt Therapy? The world would be a much less populous place if salt did not exist. Salt or sodium chloride has played an integral part of human history and continues to do so, just not so prominently as it once did. In ancient times, salt was a commodity, as highly valued as gold today. It’s trade was tightly controlled and its production restricted by some cultures. It was used as a trade good, and wars were even fought over it. Slaves were traded for it and it was even used to reward and pay Roman soldiers, known as salarium argentum, which gives us our word for salary. This tiny mineral that sits on your kitchen table is essential to life on earth that most of us don’t think much about. Salt making has fueled many economies and has changed history. If the Native Americans hadn’t been harvesting sea salt, they might not have been so easily “discovered” by the Old World. If salt hadn’t been used for preserving meat, Europeans might not have sailed to the New World at all since the meat would have spoiled. The British tried to cut off the salt supply to the American colonists during the Revolution. Salt motivated Lewis and Clark to risk their lives and explore the Louisiana Territory. Napoleon lost thousands of troops when retreating from Russia due to the lack of salt to heal his soldiers’ wounds. Union forces fought a costly 36-hour battle to capture Saltville, Virginia, where a salt making plant lay that was contributing to keeping the soldiers alive. And Mahatma Gandhi marched to the sea in his famous Salt March to take a stand against British imperialism. It’s clear we can’t survive without salt. And salt therapy promotes relaxation, helps cleanse the airways and skin, and helps aid recovery and general well being. Also known as halotherapy (after the Greek word ‘halo’ for salt), the benefits of salt to your body have been known for over 150 years. Miners mining salt did not have respiratory issues like other miners and those hiding in caves during WWII showed improved health. WHAT DOES SALT THERAPY ENTAIL? For salt therapy, you simply sit in one of our comfortable chair massages, sit back, and breathe. Dry salt is thought to attract pollutants and allergens in the airways, stimulating the body’s internal process of cleansing the respiratory system of these built-up particles that can cause respiratory ailments. Salt therapy also strengthens the body’s lungs. For the skin, salt can stimulate the skin’s protective layer and affect the skin’s collagen fibers, rejuvenating your skin and helping strengthen the immune system. Salt with its inherent healing and disinfectant properties has been used for decades to help heal wounds and prohibit bacterial infection and be used as an infusion when your body is dehydrated. We are encouraged to rinse our mouths with salt water as well as use nasal sprays with saline to promote healing. Salt affects our cell activity, energy, and can boost sugar levels. 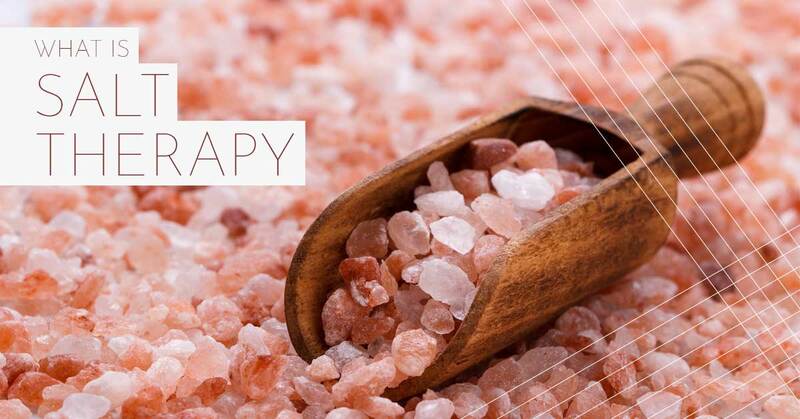 Salt therapy is calming and detoxifying, which supports our immune, nervous, and lymphatic systems. Our stress is reduced, we get less headaches, and we sleep better. Pure mineral salts have natural moisturizing properties to help the skin maintain water content and form a barrier to the dehydrating air. Our salt therapy rooms are designed for the ultimate in relaxation. With amazing chair massages, you’ll lay back, relax, and breathe deeply, inhaling the amazing results and benefits of salt. You can listen to relaxing music in comfort and style, helping to relax and let go of the stresses of your day. Bungalow Retreat near Lake Mary, Florida, was designed to be your daily retreat from the stresses of your world. We’ve worked hard to make you feel as if you’re on vacation when you step through our doors. We offer a full selection of drinks and food for your enjoyment while you sit quietly and enjoy our services. We offer chair massages and full body massages, as well as a place to just sit and be. Stay as little or as long as you like, and enjoy the retreat we’ve created for you. Visit our “ultimate vacation spot” today! ©2018 Bungalow Retreat - Do not copy mockup. All rights reserved.